On event nights, the pub is open until midnight. (Hours correct as of September 2012). 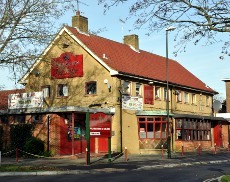 The Black Dog is on Barnfield Road, next to the car park by Northgate shops. The Fastway bus no. 100 passes along Woodbridge Road.